Natural wine: a fad or here to stay? Some historical context. Consider wine in antiquity. What would it have tasted like? Most of it would have been bad: in the absence of effective preservatives and frequently exposed to oxygen, it would have gone off quickly. The most sought-after wines would be young ones, just after vintage. Any fruitiness would quickly be lost to be replaced by the dullness of oxidation and sharp aromas of acetic acid from bacterial activity. In ancient times various substances were frequently added to wine in an attempt to preserve it, or – failing this – to mask the aromas of decay. Even until fairly recently, wine would be shipped in barrel, and then dispensed from the same barrel in the destination market. The shorter the distance travelled, the better would be the wine, hence the emergence of some wine regions close to ports, or near large metropolitan areas. When bottles came along, these would have been filled in the destination market and re-used. The popularity of the great fortified wines Sherry, Port and Madeira was in large part due to their resilience. They reached destination markets in good shape and then retained much of their character for lengthy periods. Look at Australia. Even until the 1960s, the wine industry was dominated by fortifieds. This partly reflected consumer taste preferences of the time. But it’s also much easier to make fortified wine (bad microbes find it hard to thrive in 20% alcohol, and the wines tend to be tougher in the face of oxygen), and it survives varying and high ambient temperature storage better. Shift forwards to the modern day wine industry. A number of advances have given us a baseline of largely fault-free, fruity commercial wines. We take these for granted, but take one of these bottles to ancient Greece or Rome, and it would be highly prized. First, the use of sulfur dioxide as an antimicrobial agent, and to protect wine from the ill effects of limited oxygen exposure. This widespread use of this preservative made a huge difference to wine quality. Second, the management of fermentation, both through understanding the role of yeasts and bacteria, and also through the advent of temperature control. Third, greater understanding of the role of oxygen in the fermentation and ageing process, which has allowed winemakers to preserve fruit flavours in wines. Together, these interventions have given us the ability to make fruity, appealing commercial wines. Further additions to the winemaking toolkit – advances in enzymes, filtration, fining and stabilization – have added another layer of control. More recently, the development of alternative bottle closures has allowed winemakers to progress further: these new closures are fault free and allow control of post-bottling oxygen exposure, and they have put pressure on the cork industry to clean up its act. So, to my first point. It is only because of the advances in modern winemaking, pretty much all of which have been positive for consumers, that space was created for the natural wine movement to emerge. How did ‘natural wine’ begin? We’ll discuss definitions in a moment, but while we are thinking historically, let’s glance backwards to the roots of this trend. They lie in the Beaujolais wine region, and the work of reknowned wine scientist Jules Chauvet. Chauvet, a fourth generation winemaker from La Chapelle-de-Guinchay, was a thinker, and one of the things he thought deeply about was eliminating sulfur dioxide use in winemaking. This is an important perspective, because it is in the winery setting that natural wine was born, and to this day the emphasis in the movement is what takes place in the cellar, not the vineyard. Chauvet was most active between the 1940s and 1960s, but the natural wine movement, gestated then, took a long time to catch on. In many respects it is a retrograde movement, responding to the all but unstoppable tide of modern winemaking technology with its arsenal of additions and gleaming stainless steel. It’s a reaction against control. There’s the issue of agency: who makes the wine? 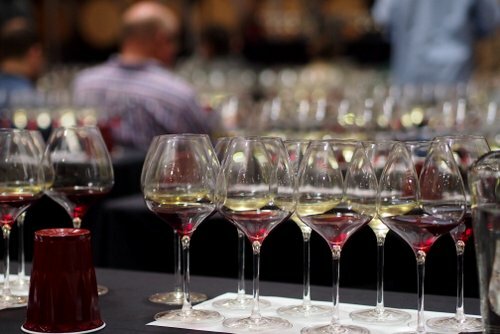 Is it something that is under human control – an idea that is reflected in the term ‘winemaker’? Or is it a natural process, merely guided or stewarded by the ‘winegrower’? I’m not a social commentator, but I suspect part of the momentum towards natural wine is the nostalgia for a vanished, golden age that never was. But there is more to it than this. The reason that natural wine has caught on so strongly is because of flavour. There’s something distinctive and elegant about many natural wines, and this is what drew me to them in the first place. The best have an elegance that conventional wines only tend to acquire with age. So the roots of the modern natural wine movement are in Beaujolais. Inspired by Chauvet’s teaching and experimentation, a group of Beaujolais growers decided to try eliminating sulfur dioxide during elevage. Beaujolais winemaking makes this a less risky process than it might be in other wine regions. The style of fermentation – carbonic maceration of intact whole bunches – allows alcoholic fermentation and malolactic fermentation to occur alongside each other, so there is no dangerous gap between the two in which bad microbes can flourish. The wine is also, to some extent, protected from oxidation by the carbon dioxide produced during fermentation. Add in the safety of relatively low pH, and we have conditions where some of the risks of working sans soufre are mitigated. Or to put it in a more positive way, natural winegrowers allow fermentation to proceed without any additions, and then bottle the wines after natural clarification and settling with only minimal sulfur dioxide additions. Here we encounter our first problem. According to this definition, a good number of the world’s great wines are natural (or very close to it), yet aren’t included in the natural wine movement. Wine is a pretty natural product, and yet to label a subset of wines as ‘natural’ implies that the rest of the wine world is in some way unnatural. Alongside this definition of natural wine, it’s common to find shared characteristics among a subset of natural wines. Practitioners tend to avoid new oak, and many avoid small oak barrels altogether, opting instead for larger barrels and also clay and concrete containers. Many are experimenting with amphorae, tinajas and qvevri, finding a harmony between their wines and clay vessels of fermentation and elevage. Rather than imposing a definition, it’s probably best to think of the natural wine movement as an unofficial alliance of producers who are trying to make wines as naturally as possible. The qualities that they value as a group are several, although natural wine is not a homogeneous movement and there are many different ways that naturalness is expressed, both in process and also in results. The first quality is that of elegance. The antithesis of natural wine is the international-style red wine so beloved of US critics: wines with concentrated, powerful, sweet fruit, supported by plenty of oak, usually with high alcohol and often with soft, plush tannins. Many natural red wines are lighter in colour with much more subtle flavours, and often some leafy, sappy greenness (although it depends which region the wine comes from). Good natural acidity is prized. For white wines, interestingly many are deeper in colour than their conventional counterparts, with acidity once again considered a virtue. Then there’s the subset of skin-fermented white wines which are known as orange wines. This is a relatively new and expanding category of wines, offering very interesting aromas and textures that are quite unlike those found in ‘normal’ whites. Another quality that is celebrated is that of somewhereness: the natural wine folk strive to make wines that have a sense of place, expressing their terroirs as best they can. Over the last decade, the natural wine movement has grown considerably, and is now global. Most wine-producing countries have a set of producers who would badge themselves ‘natural’, and who would take part in natural wine fairs. Most of these producers operate on a small scale, and they frequently work in wine regions outside the established classic fine wine areas, often because vineyards are cheaper in these regions. There are some natural wine hotspots. The Loire Valley would be one, along with Alsace, the Languedoc and Beaujolais. Natural wine isn’t just French: it’s also quite big in Italy (especially outside the famous areas), and is beginning to take off in Spain and Australia. As well as taking part in the same wine fairs, these natural producers will often share importers: most countries have one or two specialist natural wine agency businesses. Often, the movement has been driven by the wine bar scene. In particular, Paris is now chock full of wine bars specializing in these wines, and London isn’t all that far behind. In the grand scheme of things, natural wine is still a niche movement. But it has grown significantly, and has had an impact on the wine world bigger than its size would suggest. It has encouraged mainstream winemakers to reconsider some of their practices, and to attempt to work with less reliance on additions. A significant shift is that many are now thinking about picking earlier. They’ve grown a bit tired of the sweet jammy fruit that long hang time achieves, along with the need to add back the acidity that has been lost in this wait for sur maturite. There’s definitely a move away from dark, jammy, alcoholic reds in the wine world, and that has to be a good thing, doesn’t it? There are valid criticisms of natural wine, though. We’ve already mentioned the lack of a definition, and the way that the term ‘natural’ implies that other wines are unnatural. It’s a process focused concept, which is another weakness. Rather than judging the results, it assumes that if a process is followed, then good quality will be the outcome. In this sense, it resembles its enemy: industrial wine, which is also production focused. With this emphasis on the production process and the interventions and additions that aren’t added, it is possible for natural wines can lose their sense of place and taste more of the production process than the place they came from. This brings us onto the issue of faults. Working without the control and safety nets available to conventional winemakers requires great skill and often a little luck. It is more difficult and requires greater attention on the part of the winegrower to do nothing (or very little) if the results are to be good. There are, clearly, good natural wines and bad ones, and a spectrum of wines in between these poles. The main faults found in natural wines are oxidation and Brettanomyces, but reduction (volatile sulfur compounds) are also a common issue, often in conjunction with reduction and/or Brettanomyces. The interesting thing, though, about these three faults is that they are complex, and can be good at certain levels and in some contexts. Working more naturally can often be a route to greater terroir expression because the hand of the winemaker is lighter. But taken too far, or if insufficient attention is paid to the wine, and faults can obscure the vineyard origins – sadly, some natural wines taste more of natural wine than they do their vineyard or the variety/varieties they are made from. It can also be an ideological movement with a dogmatic approach and an inability to enter into dialogue with those who think differently. Naturalness is important, but, not for its own sake, and this is sometimes overlooked by practitioners. If we like the natural approach, it is because of the good results that it brings when it is applied well. But the biggest problem is that natural wine can often be a niche movement, failing to separate out interesting non-natural wines from boring industrial wines. We are fortunate: we are living in a very interesting age, where there are lots of really interesting wines available. Yes, commercial/commodity wine can seem a bit boring, but viewed in the context of history, we are lucky that there is much less bad wine available – the overall standard of winemaking has risen considerably. Alongside this development, more places than ever are now making interesting wines of personality. What we see now is the emergence of a generation of well-travelled, skilled winemakers who are prepared to question their approach. As I travel the wine world I find plenty of curious, open minded and innovative winegrowers, many of whom really strive to express the vineyard origins of their wine in an interesting way. A good number of them have been influenced by the natural wine movement, and want to add less and intervene less than the previous generation did, if this will help them achieve their goals. There is, however, a prevailing sense of pragmatism. Many will still intervene, and add things, if this is the only route to expressing their vineyard site in an intelligent manner. When faults obscure site, then it’s time to step in. A fad, or here to stay? So, to address the question: is natural wine a fad, or is it here to stay? I have argued that this niche movement was in large part a child of its times. It began, and has thrived, because of the context of the larger global wine industry: one in which improved understanding of wine technology and a sophisticated winemaking toolkit put clean, consistent wines into the hands of ordinary people. At the same time, it allowed winemakers a level of control at the high end that resulting in the hand of the winemaker being dominant, to the point where site expression was frequently lost. Natural wine was a response to this, and acted as a signpost that alerted the new generation of winemakers of the folly of this modern approach. In this sense it has been important, and has had an effect beyond its niche. But I feel we are now entering the post-natural wine era. Interesting, authentic wines are being made by conventional winegrowers. Curious, intelligent consumers see beyond the limitations of the process-oriented natural wine approach. Smart winemakers realise that taking a considered, more natural approach is a route that may result in more interesting wine, but only to a point, and the judicious use of additions and interventions can sometimes result in a wine that better expresses site or winemaker intention (be that good or evil). 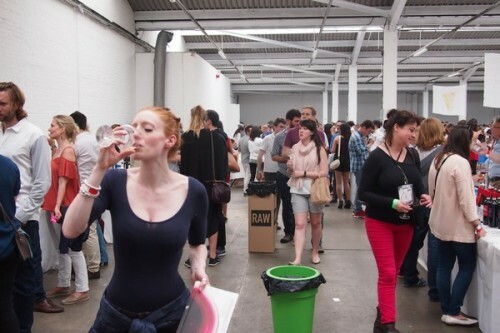 No doubt natural wine fairs will continue, but the movement will soon have lost its important role. It’s job is done, for now. We should be grateful for the questions it has caused the wine world to ask itself, whether or not we agree with its stance. We should forgive it its dogma and intolerance: better to have people who care, even if they sometimes go too far, than people who are indifferent. And we should celebrate the diversity and richness it has brought to the wider wine community. It would be unfair to describe natural wine as a fad. Many of its practitioners are brave, skilled and visionary, and we should respect them for these qualities. But as a stand alone movement? We are about to enter the post-natural wine movement, and I predict that this somewhat divisive, ill defined term will gradually be replaced by others, such as ‘real’, ‘raw’ and ‘authentic’. 12 comments to Natural wine: a fad or here to stay? Lots and lots of things there to make me think and interesting perspective and context too. Like you I am a fan of natural wines and am lucky to spend much of my time with one of its best producers, Jeff Coutelou in the Languedoc. Your conclusion is what really has me thinking. I agree that the movement has reached a turning point, it has grown, become trendy and there are lots jumping on a bandwagon of sorts. There are many average and poor wines included int here and for the sake of the better producers it is time to refine what is a natural wine. How that happens of course is the difficult question, I do think it will carry on under the label but that some form of hierarchy will develop. It was interesting to note that Wine Advocate’s highest score for the Languedoc went to Didier Barral, archetypal natural producer. Many natural wines achieve high prices these days, I was quoted 67 euros for one Languedoc producer recently! Excellent post, I agree with everything you’re written, especially the bit about many low-intervention wines not wanting to be labelled as “natural”, the bit about “faults” being complexing or not and difficulties even with the definition. As for the conclusion, spot on I’d say, with many of the world’s leading wines made low-interventionally and even co.s like Concha y Toro becoming part of Vigno. I think you can see the wine scene is a continuous sliding scale. You could call less then 3/10 for amount of intervention “natural” if you like, but it would be a pretty arbitrary point. Excellent work Jamie. Hats off. Much to ponder. Well expressed. Just a little controversial too. Two years ago I compared the Natural Wine movement to the cycle of new technology – a nod back to my days working in IT and adopting new technology. The cycle is roughly “hype -> disillusionment -> enlightenment -> mainstream” and different sets of people (the market) go through the cycle at a different pace or bail out at various stages (some technologies never made it either – betamax being a well know example that failed at the last hurdle). I guess the point is once it become mainstream (accepted) nobody talks about it. Of course for wine lovers it’s always going to be about the people who make wines they like and not which camp they choose or are classified to be in. My own feeling about the Natural Wine Movement is that it can be a bit too evangelical at time. Many great producers have been making their wines in a low-intervention way for decades. I learned to make wine that way and was further encouraged by the book “Real Wine” by Patrick Matthews. Only recently have some people (mainly journalists and merchants) started to define what is Natural wine and what is not. In the most part, that dividing line has been unhelpful. It has created an us-and-them separation which should not exist. I was put off defining myself as a Natural winemaker by this divisive stance and the rhetoric. Then I started to taste a lot of wines branding themselves as Natural and the vast majority of them were failed winemaking experiments. Jamie mentions oxidation and brett but for me the classic hallmark of a Natural wine failure is the leesy smell of sour yoghurt combined with a flat, lifeless palate, which I believe is caused by bacterial spoilage. There are some truly great Naturally made wine, such as the Leon Barral and the Beajolais of Michel Guignier. There are also loads of superb almost-natural wines. However, there seems to be a faction among trendy sommeliers, wine bars and shops that seem to want their wines to taste faulty as well as be made without additives. I hope this is the fad that will go away so that when someone offers me a Natural wine, I don’t have to be reassured that it is not yeasty, fizzy, cidery or leesy. In my experience the best wines are made by the least didactic and opinionated among the Natural wine movement, or by natural means without need of the moniker in order to find a market. This is a very well articulated summary! One point that I believe is worth noting is the demand from Millennials, who have stormed the wine market in recent years. Millennials demand transparency and authenticity from winemakers. They are picking wines based on the story behind it, and natural wine has a great story. Though notoriously averse to spending money, they nevertheless spend hand over fist on organic and locally-sourced products. Millennials buy wine out of political and health concerns about conventional versions of the same product. Take Millennial winemaker, Brennan Firth of Cepas Elegidas, who started making wine at 23. He worked for some big names including Paul Hobbs, Sebastopol/Dutton Estate, Paul Matthew, Bodega Furlotti, Vina Cobos, and Paul Lato. He was more than capable of making very highly rated wines in the same manner as others, but turned has turned to authentic wines that are some of the most sought after bottles in Argentina. All this is to say, the natural wine movement is here to stay based on an openness to change, partly related to the Millennials growing distaste for elitism, snobbery, and rules. Thus I wasn’t t there i Read your argumentation durin g the way back home. I found it very useful and well displayed. I agre completely with you on the fact that expecially in non famous wine Regions the phenomena of natural wine is still rising up. I ve in touch in my region Friuli and in Romagna. I also agre that the natural wines phenomena is going to give us ( oenologists , producers. ) a strong way of reflection how to preserve the natural characters of the grapes and put Them, i nto the glass. My work philosophy is that because if you work well in vineyard you have to preserve your job also in the cellar becuase , in my thought s wine is Made 70/80 % into vineyard and Who is involved into vinification process must be Ready to understand and feel all the nuances of bis product. I agree with Jon. The controversy came about more recently, when certain writers and importers created an “us vs. them” divisiveness. That didn’t come from any producers I’m aware of. What rubbed so many of us the wrong way was California wines were being written off entirely. We knew there was a legacy here of producers who never went into all these manipulations in the first place. That’s the irony. While Beaujolais and other regions of France went full-on into fairly extreme manipulation, we never even had an incentive to at many sites. As you state: “Here we encounter our first problem. According to this definition, a good number of the world’s great wines are natural (or very close to it), yet aren’t included in the natural wine movement.” But you don’t mention California. Martin Ray, for example, claimed to have never used sulfites. No other frowned upon practice, either, as far as I’ve read. His disciple David Bruce didn’t use sulfites until 1975. Wineries like Ridge have always been pragmatic, believing the least necessary interventions make the best wine. They were continuing a legacy because they looked to the practices of those who were making wine from their property when they bought it (and continued to sell to for some years). Let’s hope lots of our competitors follow this fad of so-called ‘natural’ winemaking. Less competition for the quality wines. Well said Jamie.Just about nails how we are thinking.We are well along the road with this but we very much prefer to speak softly about the “n”word. Too many folk making cloudy funky wines from commercial (ie chemical grown) fruit and shouting NATURAL. At the end of the day the wines need to be delicious! Jamie, great post–thoughtful and balanced.